Do you have days off and you still have no destination? Have you scheduled a business meeting and you want to leave the best impression? Do you want to meet people from around the world in wonderful places? The breathtaking scenery, the beaches on the Pacific Ocean and the Caribbean Sea, the kindness of its people, among other things, make Colombie an excellent destination to enjoy tourism. This country that is in the north of South America has a long list of attractions that will make your vacation an unforgettable experience. If you are interested in visiting this country, this article will be of your interest. We will tell you what places you should certainly go, what you would find and what activities would be performed on them. The Colombian capital, the main tourist spot in the country, offers visitors, attractions like La Quinta de Bolivar, the Bogotá Planetarium or the Botanic Garden Jose Celestino Mutis, in the savannah of Bogota. To visit other sites of the city, you have the option of taking the tourist train from the savannah of Bogota. If you are looking to meet people from many parts of the world, the Plaza Bolivar is one of the places where most tourists go. If you are interested in ancient history, in the west of Bogota you can find, the Archaeological Park Tunjo stones. It is a very interesting city, near the Caribbean Sea. Its tourist attractions are both beaches, which host thousands of people every year, and excellent constructions in the city that will be mentioned later. The most popular beaches are Bocagrande Beach, El Laguito and La Boquilla. The islands of Baru and Rosario also have beautiful white sand beaches and coral reefs that will impress you. The walled city, the Castle of San Felipe of Barajas, the neighborhood of Getsemani and Pegasos spring are also places you should not miss in Cartagena. Cape San Juan and Concha Bay are two good examples of the stunning beaches with which this city counts. Just a few hours from the beach, you will have access to the Sierra Nevada, where you can learn more about the archaeological remains of the Tayrona culture and the Lost City of Teyuna. In this city you can enjoy the woods and swamps of the Tayrona Nature Reserve, considered one of the best in South America. If you love camping, biking down the mountain, kayaking or any other outdoor activity, this city is right for you. Medellin is ideal for ecotourism, especially in the regional park Avi, which provides everything needed for those who like activities. In contrast, Medellin is also a great city for business meetings, conventions, conferences, among others considered in the tourism business, because the city has the capacity to accommodate the tourists in a comfortable way. 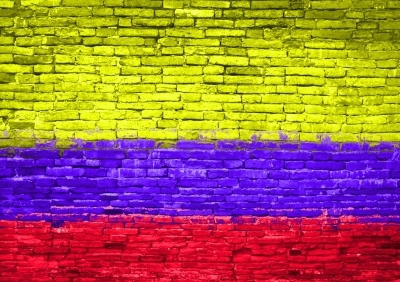 Do not wait, Colombie is waiting for you!